Sitting idle and looking dull is not a healthy sign for kids. When there are a lot of kid’s sports activities, it makes no sense to be idle. Taking a regular part in child’s sports not only keeps the youngsters fit, but also enriches their intelligence. In addition, participating in sport events also brings out the talent in youngsters and provides them with a lot of learning experiences, which remains useful for them throughout their entire lives. It helps them learn how to set a goal and act accordingly to achieve that goal. Therefore, child’s sports activities are the essence of the educational infrastructure in the modern age. Children who want to join extra-curricular activities can find the following discussion quite handy and interesting. With the wide ranges of sport activities, you have a lot of things to do throughout the year. The first thing to do is to be placed in a similar age group and schedule routine practice hours for every day. This is the first step that makes them value the time they are spending. Then discuss the rules of the game that you are going to play. It is advisable to include initial training and free-hand exercise to warm them up. After finishing with the rules and practices, they can be allotted into different teams who will compete with each other. It allows them to know their contributions to the team and help them to perform in a united way. The best contributors can be rewarded with trophies and mementos. This boosts up the confidence of the kids and helps them to perform their responsibilities to the team. Playing softball is one such game that kids can participate in during nice weather. This game is enjoyed by all ages by both boys and girls. One of the more popular and effective games for youngsters is golf, which can improve their patience and attentiveness. In addition, soccer heads the list when it comes to kid’s sports. It needs a lot of practice and energy to play the game. Also, you need to be familiar with the various rules governing the game. Playing soccer tests your skills to a great extent. The team who crosses the nets of the opponent scores a goal. At the end of the game, the team with the highest score is declared as the winner. If you are energetic and physically sturdy, then track and field is the best sport for you. This sport activity involves long jumps, gymnastics, pole vaulting etc. If you want to enjoy sports during the winter, then you can try snowboarding and skiing. This requires a lot of balancing acts and techniques. Once you grab these requisites, you may become an integral part of your adventure team. During winter, you cannot skip ice hockey practice. The knowledge of ice skating helps you to participate actively in ice hockey. Presently, ice hockey has become one of the popular games played during the winter. With a lot more options behind, you need to pick the best sport that you will best suits you and gives you the most enjoyment. If you love the game and improve your performance, then in the future, you can choose this as a part of your professional career. 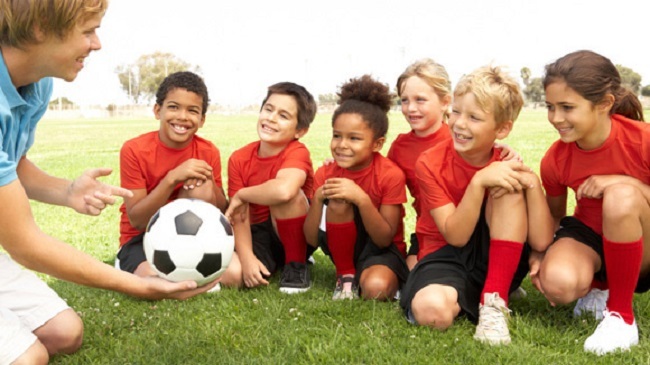 Therefore, participating in child’s sports provides a lot of space for your physical and mental growth.